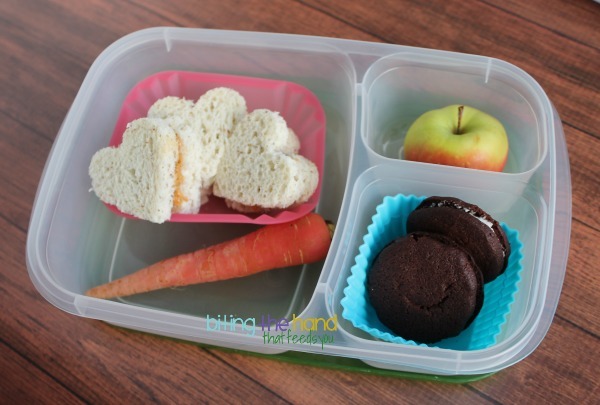 Wednesday, 11/13/13 - "Cookie cutter lunches" are an easy way to keep lunch fun. Both my girls prefer smaller hand-sized sandwiches. They're easier to hold and eat! 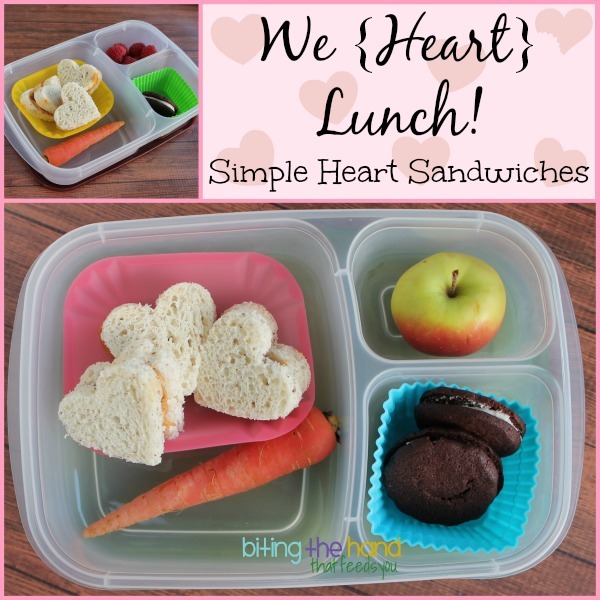 I made a goal this year to include a heart in every Kindergarten lunch. So far I've forgotten almost as many times as I remembered, but for this lunch, it was kind of the basic theme. I couldn't resist grabbing a few of these tiny apples from the farm stand when I was picking up my weekly farm share. So cute! 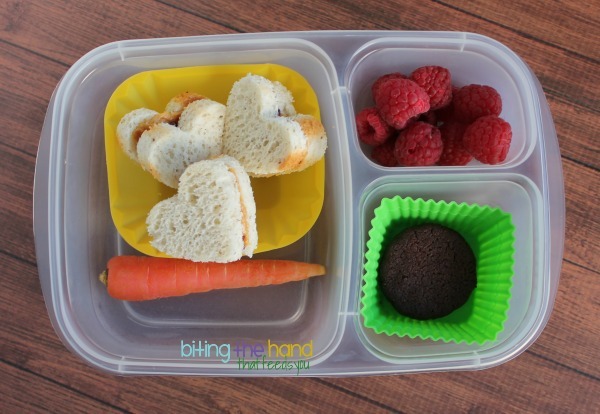 A whole one fit easily in the smallest compartment. Squeee! The cookies are one of the batches I tried for the MOMables Gluten-Free "Oreos" post, testing different flours. These used a more refined flour blend, and were super crunchy (and got a wee bit overcooked) but I like the taste better than the whole-grain version that I ended up posting there. But the girls loved both versions and didn't seem to care which ones they got.